Updated 3-bdrm, 2-bath home in popular Deer Path! This open split floor plan features raised ceilings, spacious kitchen w/ plenty of storage and very nice stainless-steel appliances, open living room accented w/ wood-burning fireplace, master bedroom w/ full bathroom and generous walk-in closet and a nice fully fenced back yard. Neighborhood features a fantastic community park area w/ pool, playground, tennis court, basketball court and walking trails! 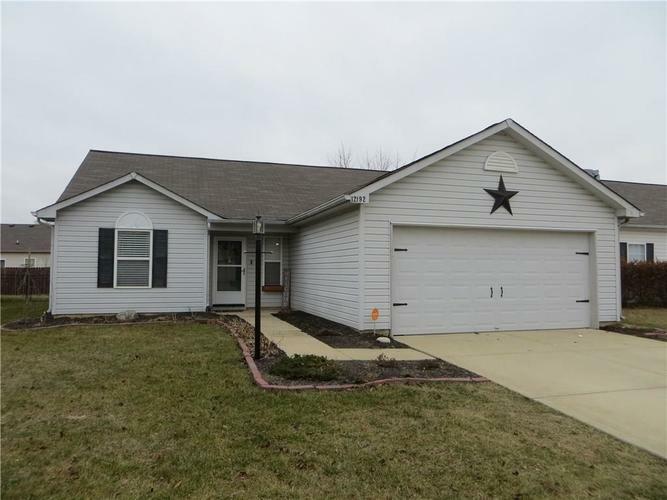 Highly rated Hamilton Southeastern schools and close proximity to shopping, restaurants, interstate access, etc. A great home in a great neighborhood and school district...Come check this one out before it's gone! PS-You'll love what they've done with the laundry room...Super Cute!. Directions:From US 37: Greenfield Ave. East to entrance of Deer Path (North Side of Road), North on Follow Dr. to Wolf Run Road, Turn Rt. (Go East) on Wolf Run Rd. to Outside Trail, Turn Rt. on Inside Trail. Home on Left. Listing provided courtesy of Murphy Real Estate Group, Inc..